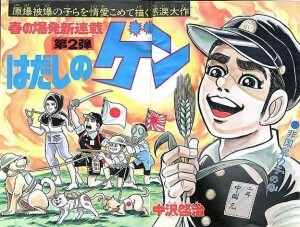 A classic made into movies and animated films, the comic has drawn criticism from Japanese ultra-conservatives. They also argue that the post-war education system teaches a “masochistic” account of history, putting too much stress on Japan’s wartime misdeeds. The board cited procedural problems with the way the directive was issued as the reason for Monday’s decision, and said that individual schools’ decisions on access should be respected, the official added. A survey by the board had found only five out of 49 principals saw a need to restrict access to the comic, Kyodo news agency reported. Barefoot Gen is considered a classic of children’s literature, not just in Japan, but globally. The book has been translated into dozens of languages, and the ban itself gained international attention. The restoration of the book to library shelves in Matsue City is a victory for free speech both locally and abroad.